The average nutrient content of a particular food, and the average effect a food or nutrient has on particular health biomarkers for a group of people under experimental conditions. That a food or nutrient is good or bad. 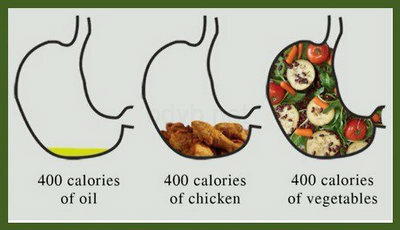 How you should and shouldn’t be eating. That you can’t eat a particular food or nutrient if you want to. That not eating a certain way means you have failed or are wrong. That physical health must be your most important life value. That a lower body weight is superior to a heavier body weight. I was cleaning out my study the other day when I came across a dated nutrition book. Flicking through the pages, its central theme was one you have surely heard of: eating less fat will help you to lose weight and find better health. It may vary between fat, sugar, carbohydrate or fructose, but my experience is that most popular nutrition books are based on this idea. There are many different types of fatty acids, some which have vastly different health effects from others. The quantity of fat that is consumed changes the health effect; consuming some fat is healthier than avoiding it entirely or consuming it in excess. Foods contain much more than just fat, and some high-fat foods can be rich (or poor) sources of health-promoting nutrients like dietary fibre and antioxidants. Eating less fat typically means that we will eat more of something else, and the health consequences of eating less fat are very dependant on what that something else is. Fat consumption can improve the absorption of other essential nutrients, and the health consequence of this depends on your current intake of these nutrients. Believing a low-fat diet is ‘good’ can actually increase our consumption of low-fat cookies and other low-fat discretionary foods. How fat is cooked can change its chemical nature and subsequent health effect. There is a wide variation in the metabolic response between individuals, even after digestion of the very same food. What works for one individual may not work for another. Telling people to avoid the foods they enjoy can make them crave and overeat them even more. Our beliefs about the health effects of what we eat likely affect their actual health outcome. We live in a complex world, and it’s human nature to try and simplify it. To remove the many moving variables at play so that it fits into our current level of understanding. I think that’s why we mostly look at nutrition through a linear lens, arguing that the solution lies in avoiding fat, sugar, starch, salt, grains, dairy, soft drink or bread. In reality, though, the better solution exists at the higher levels of thinking. Thinking that considers the wider variables, understands their interconnectedness, recognises the ambiguity and appreciates the complex.